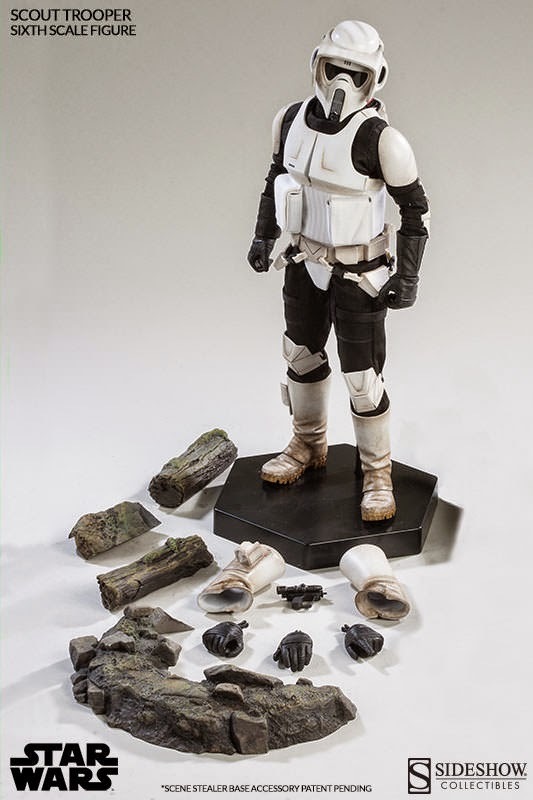 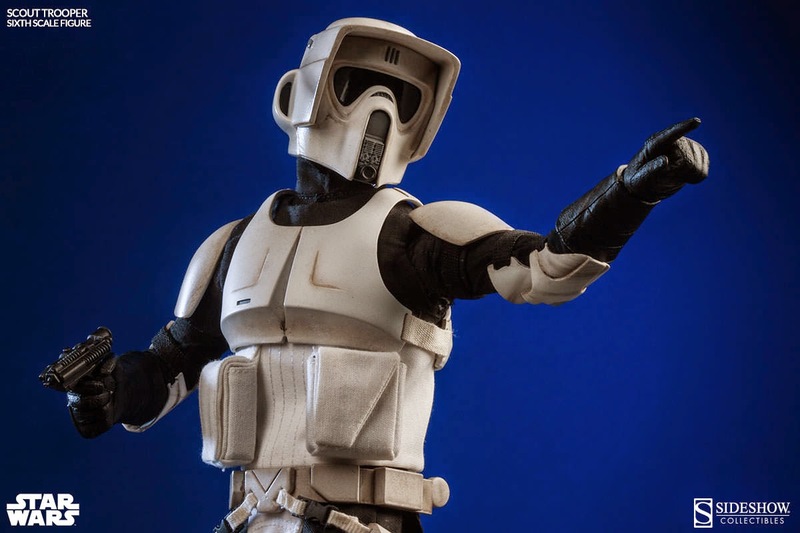 From Star Wars Episode VI: Return of the Jedi, Sideshow Collectibles is proud to present the Scout Trooper Sixth Scale Figure. 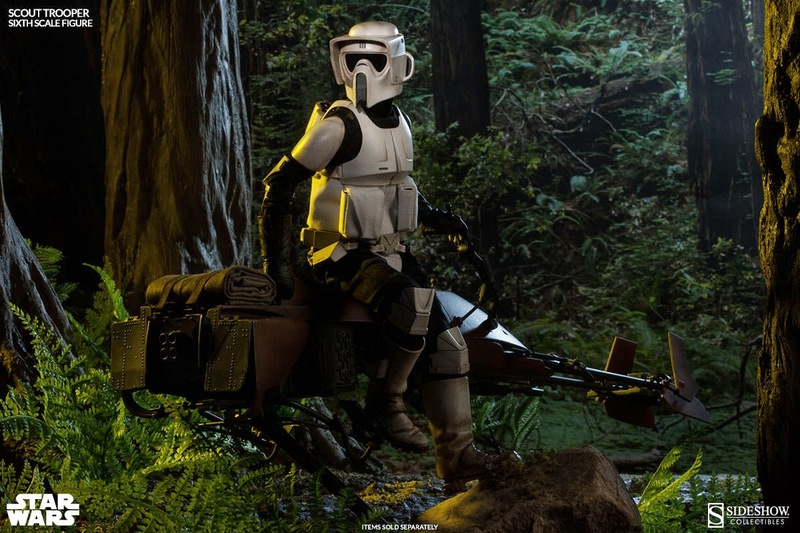 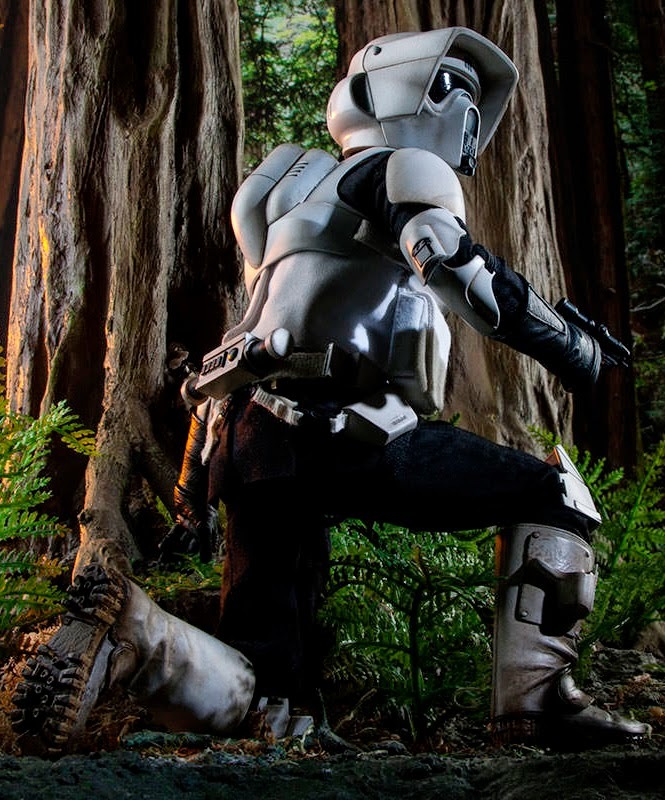 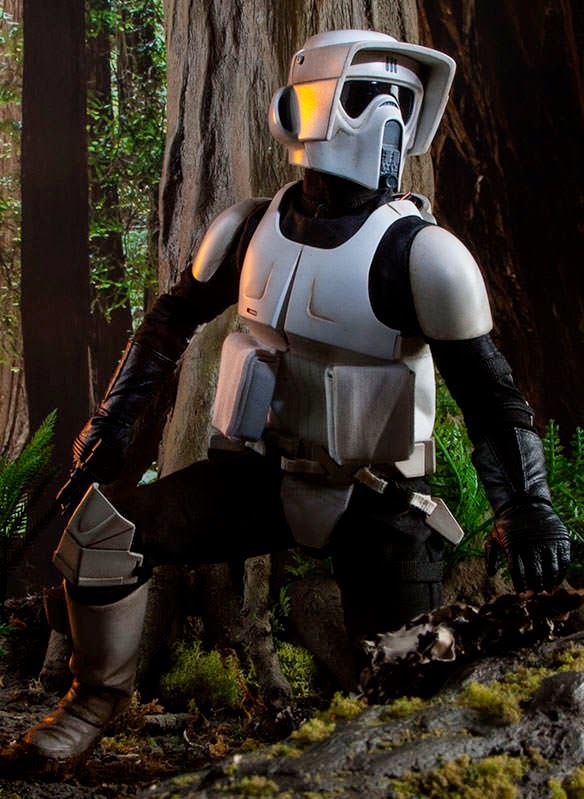 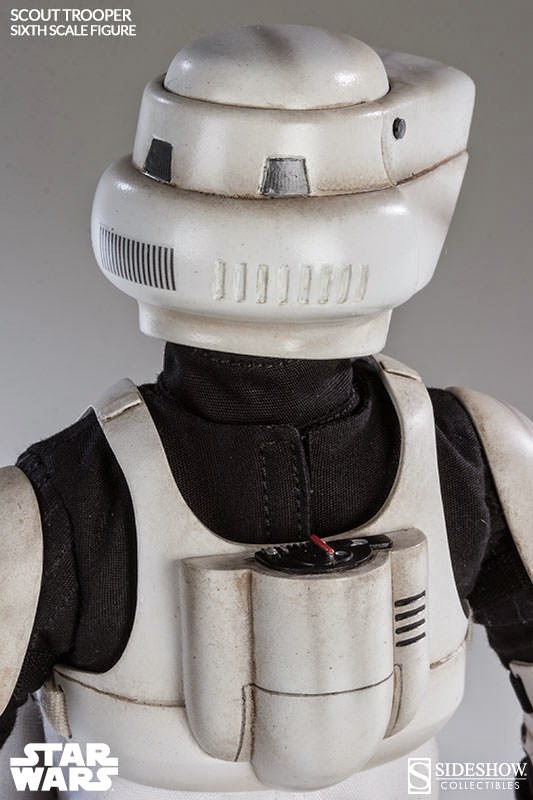 Far more mobile than Stormtrooper units, Imperial Scout Troopers were assigned to the forest moon of Endor to patrol perimeters, perform reconnaissance missions, and identify enemy positions. 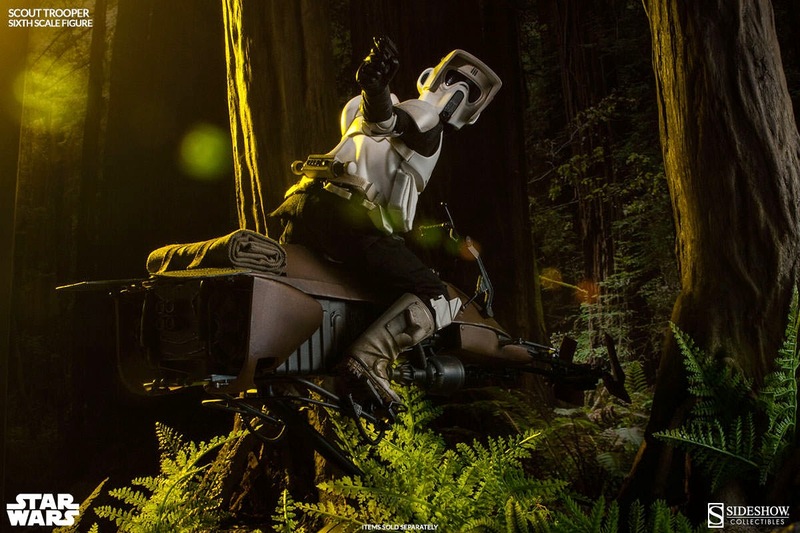 Capable of reaching breakneck speeds on their Speeder Bikes, the Scout Troopers raced between the trees in an unforgettable chase against Luke Skywalker and Princess Leia, as they attempted to warn the shield generator stations of the Rebel Alliance's presence during the Battle of Endor. 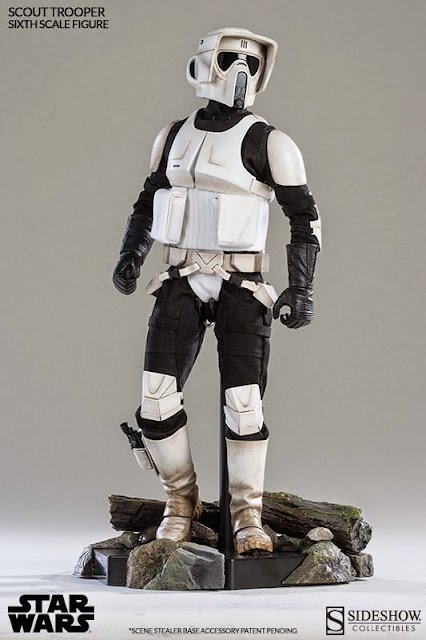 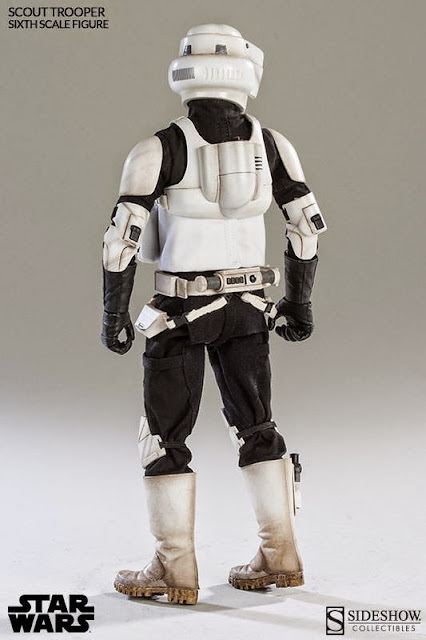 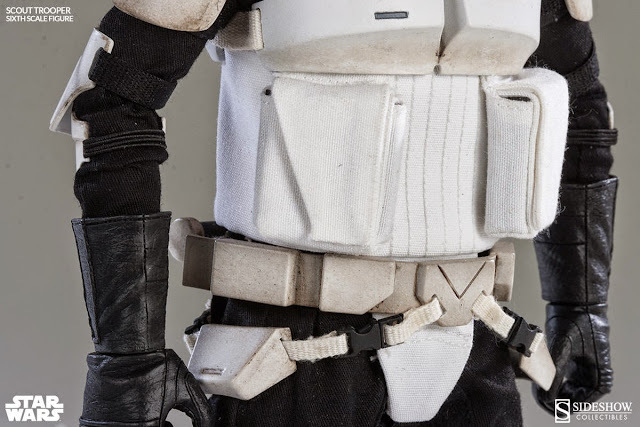 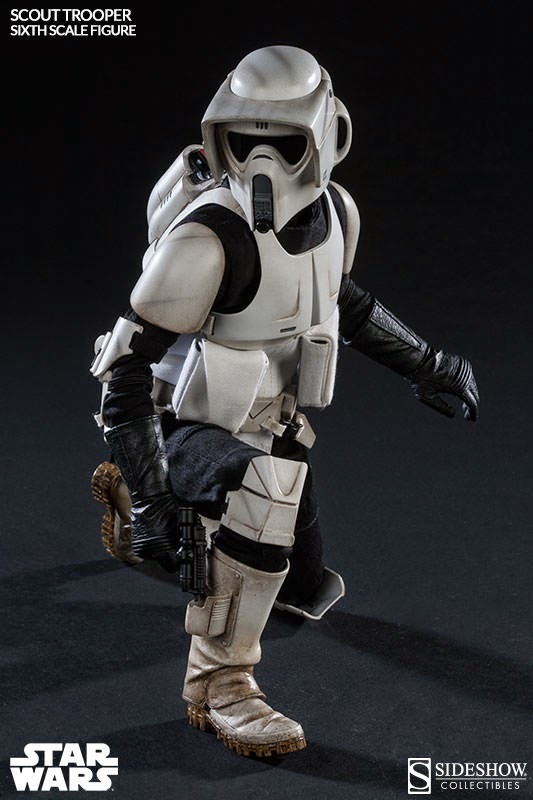 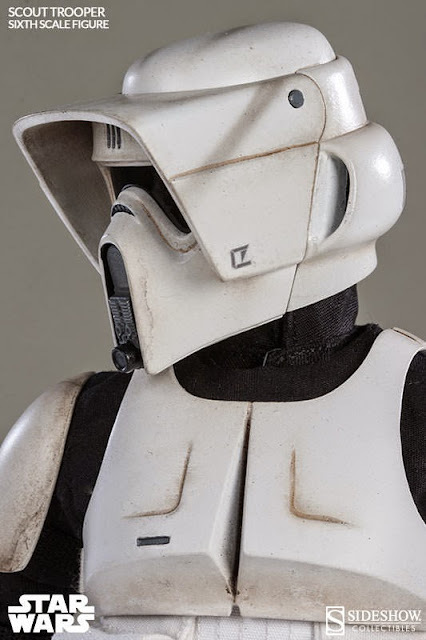 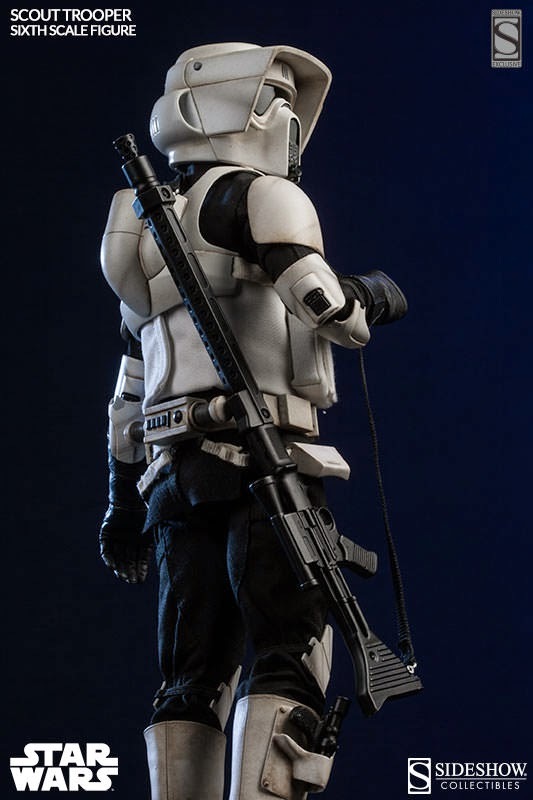 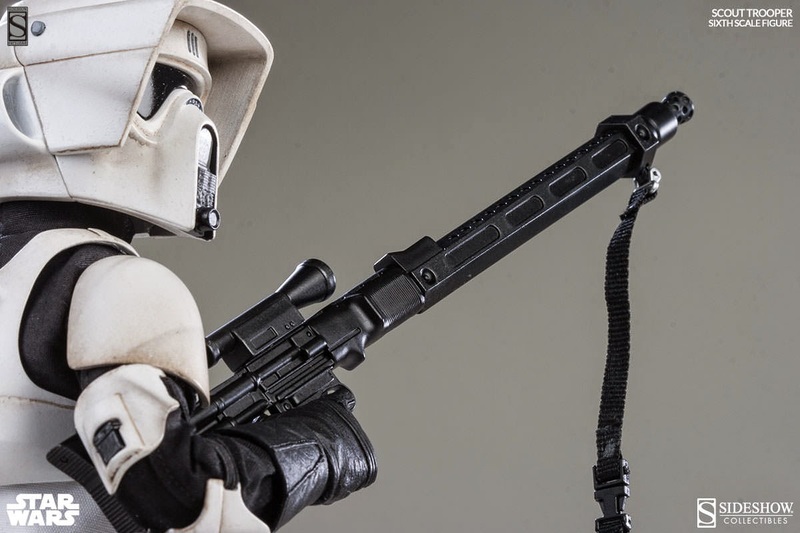 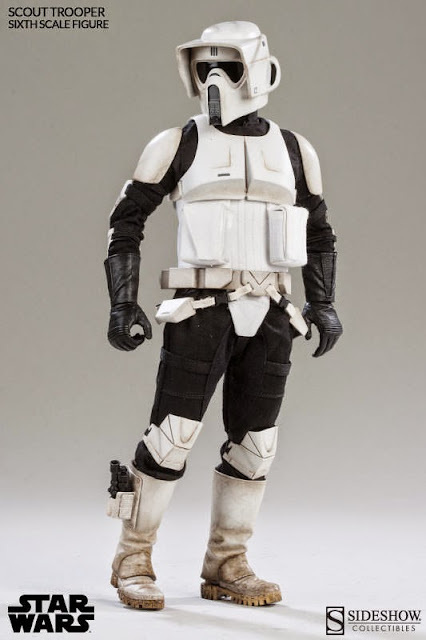 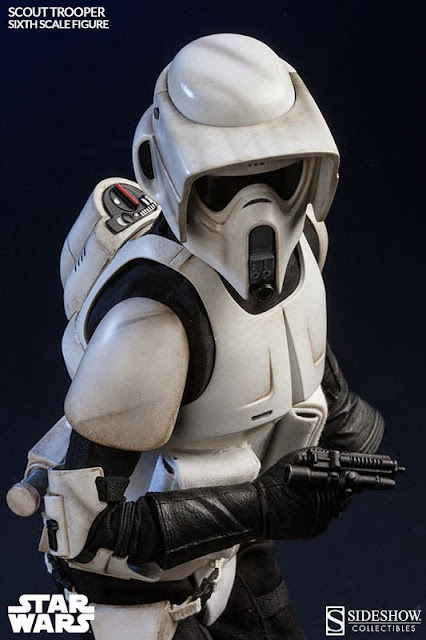 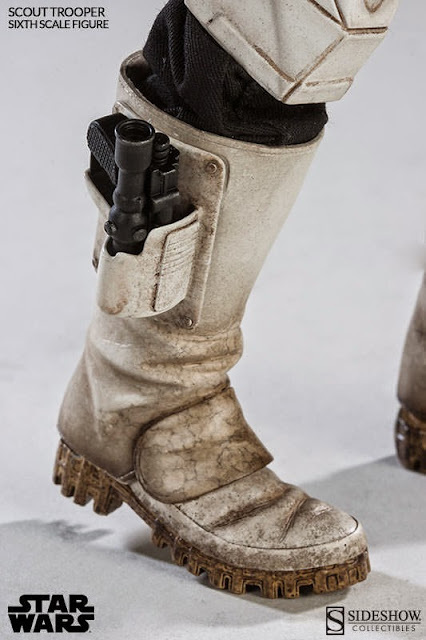 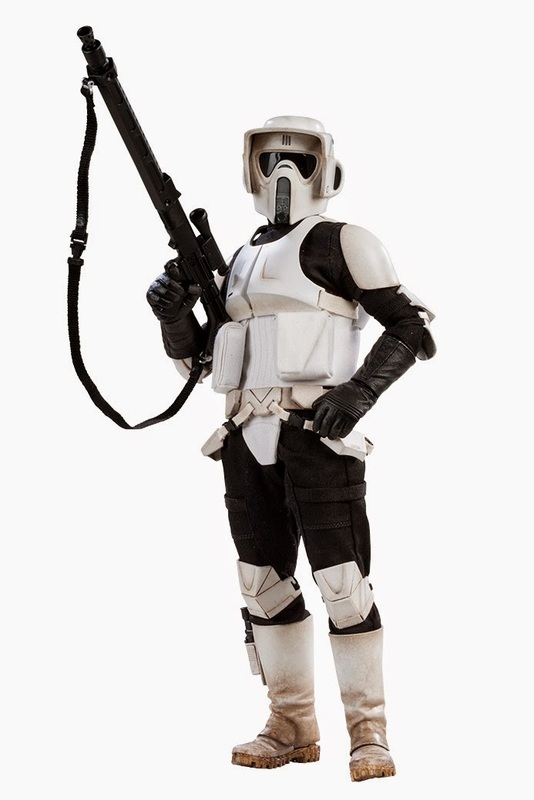 Armed to provide rear-guard cover with their blaster and sniper rifle, the Scout Troopers are trained as efficient survivalists, equipped with lightweight armor, utility belt, sidearm boot holster, and helmets with enhanced macrobinocular view plates for efficient target acquisition. Displayed with a forest terrain base, or piloting the Sixth Scale Imperial Speeder Bike (sold separately), these loyal scouts are ready to be assigned to their post.